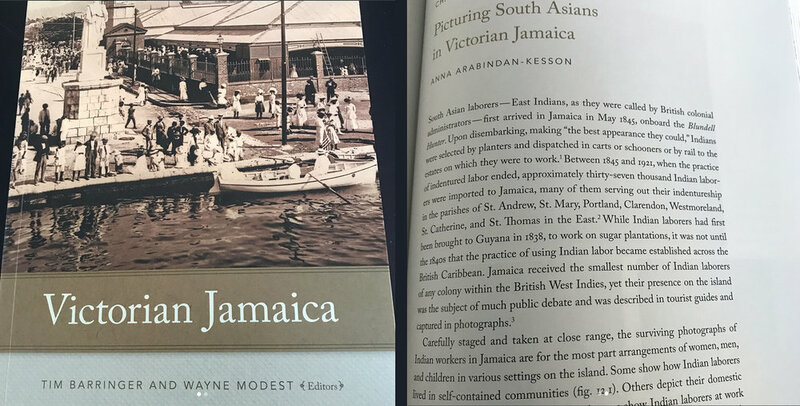 Victorian Jamaica, published by Duke University Press, is out! Congratulations and thank you Tim Barringer and Wayne Modest for patiently seeing this through to the end! I was so honoured to be asked to contribute an essay on photography and South Asian indentured labor. It’s a fantastic book with essays by incredible scholars including Petrina Dacres, Catherine Hall, Nadia Ellis, Rivke Jaffe, James Robertson, Krista A. Thompson and Gillian Forrester to name only a few.